It looks like people’s speculations about a new transit hub were spot on. On a rain-soaked Tuesday afternoon, Governor Deval Patrick joined together with Mayor Marty Walsh, MassDOT Secretary Rich Davey, and MBTA General Manager Beverly Scott to announce that a new $25 million transit stop will be built in Allston’s Beacon Park Yard as part of the I-90 Interchange Improvements project that’s set to get underway beginning in 2017. 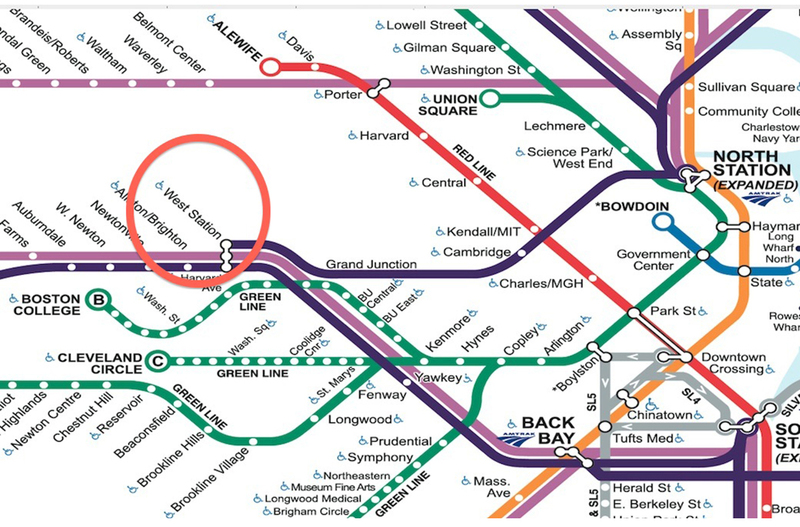 Tentatively called “West Station,” the new Commuter Rail stop along the Worcester Line will be constructed through an agreement with Harvard University, who owns the portion of Beacon Park Yard where transit officials envision the station. Harvard has agreed to pay for one-third of the project, according to Patrick. “Harvard is pleased to be part of a partnership that includes the Commonwealth, city of Boston, CSXT, and the general public, in helping accommodate this visionary project that will serve the region for decades to come,” said Katie Lapp, executive vice president of Harvard University. You can now live at a Metrorail Station on South Dixie Highway. And it’s just the start.